Rene of Paris presents its newest line-up for the hair fashion runway. 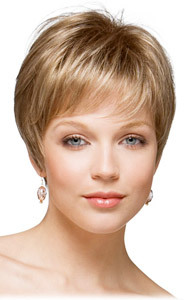 These head-turning wigs offer styling versatility, modern silhouettes and an innovative design. Short, medium and long lengths give you lots of options. The Aero-Light Cap offers the latest in featherweight, light density, open fabrication with ultra-thin wefts for extra comfort. 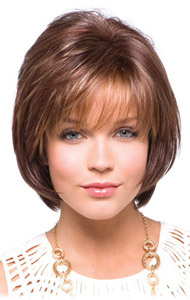 Get tips and styling ideas on video for your favorite Rene of Paris Amore, Noriko or Hi-Fashion wig or hairpiece. This spiky, short cut with a tapered nape and sides lets your best features shine through.